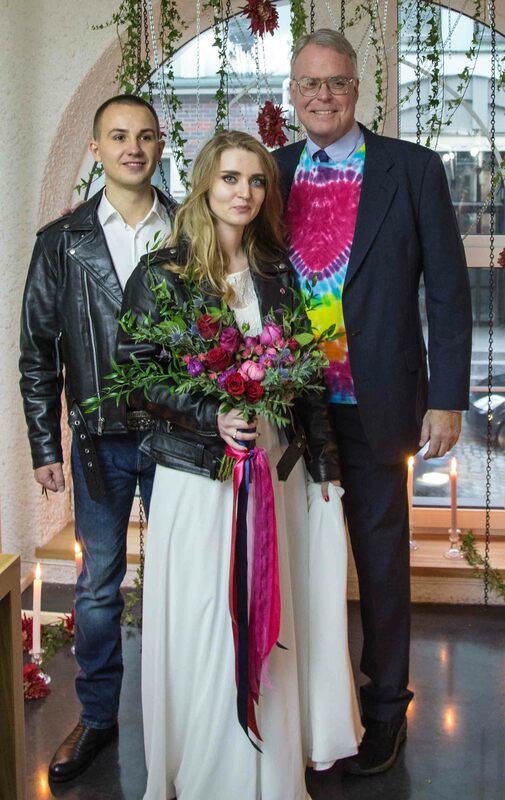 Yaroslav and Maryna wanted a “rocker” wedding, which meant their jackets and my shirt. 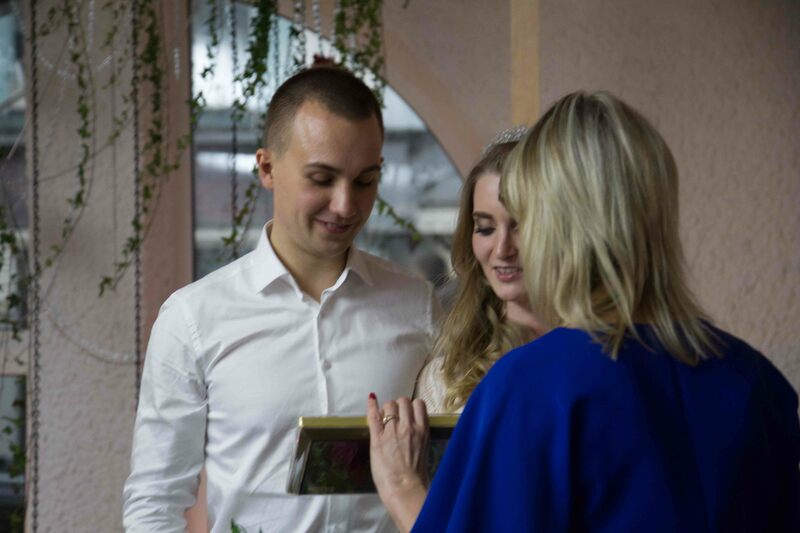 I wrote the ceremony, translated it into Russian (which I am studying), and spoke the ceremony in Russian. Everyone should have heart shirts! My translator, Khristina, is on the left. Then Antonina, her son Yaroslav, Maryna, her mother Svetlana, and their friend Natali. This was at the “Parents’ Dinner,” the night before. Yaroslav’s father is no longer alive, and Maryna’s father is gone and estranged. Sad. The same cast, mostly different attire. 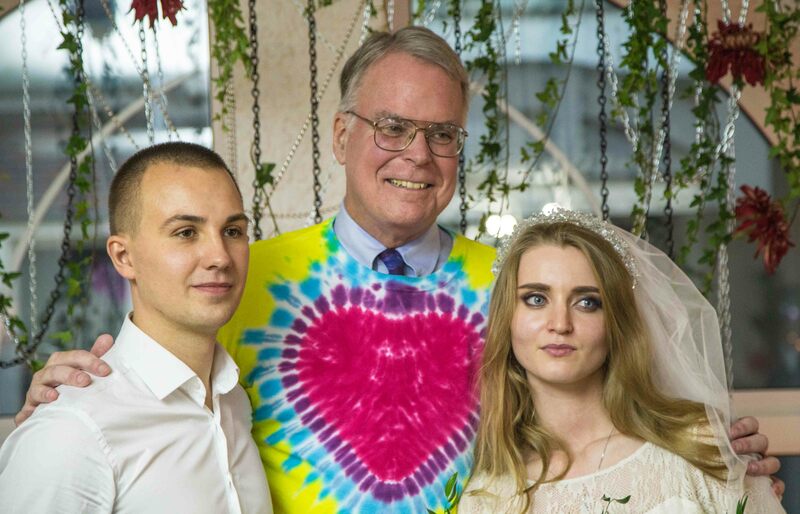 The wedding was at a very trendy restaurant in Kiev. Maryna is my “adopted” daughter. She told me after the service that she had been worried about me, but that it was wonderful, and she was having the wedding she had dreamed of since she was a child. I hadn’t cried until that moment. Then I became a puddle, all composure lost. The two Moms and me. 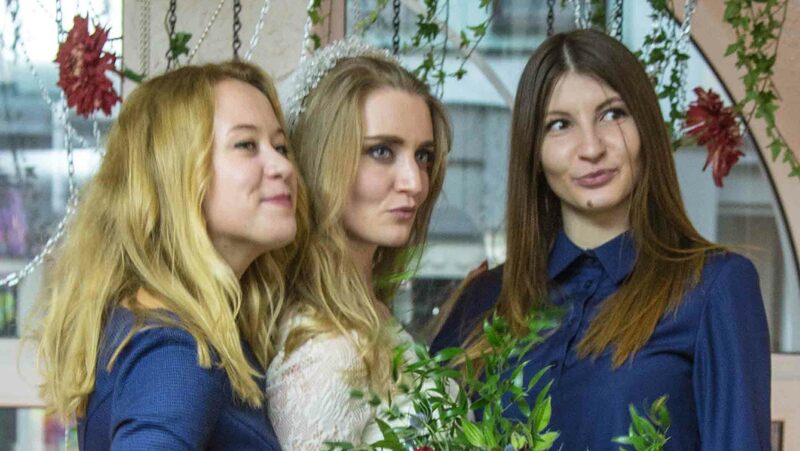 Everyone there thinks I ought to marry Maryna’s mom, on the left. Contact me with your votes! 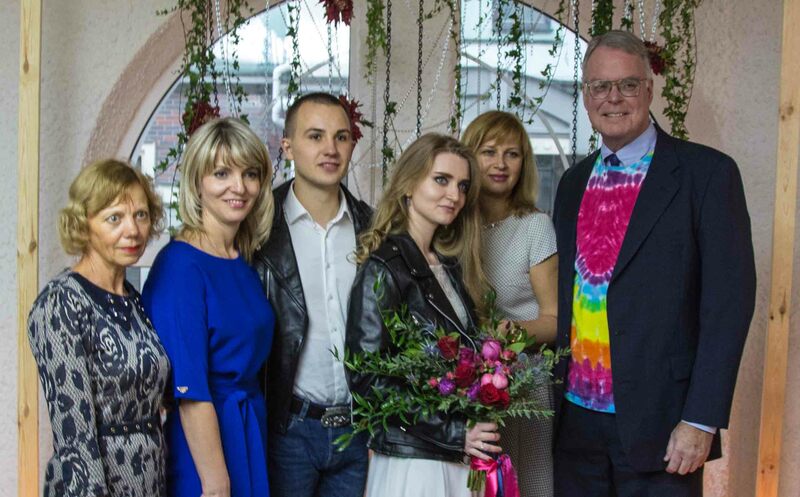 Svetlana presented the bride and groom with pictures of Mary and Jesus, and said a blessing. This is a very Ukrainian tradition. when the couple arrived, the two Moms and I presented them with bread and salt, which they ate. This is the Ukrainian tradition equivalent to throwing rice. I was thrilled that the two Moms added these Ukrainian elements to my otherwise very Western ceremony. Typically, the orthodox priest does it to them. No dedication, no vows, no promises with exchanging rings. They got all that from me. 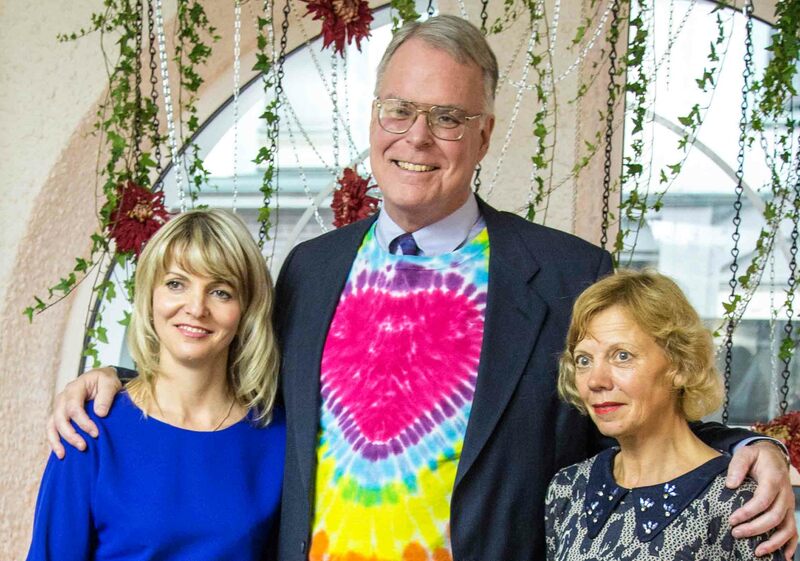 They’re probably the only couple in Ukraine to have had a Western ceremony in Ukraine, performed by an American minister, in Russian. It ranks as one of the most wonderful experiences of my life, and brings tears even now when I remember it.